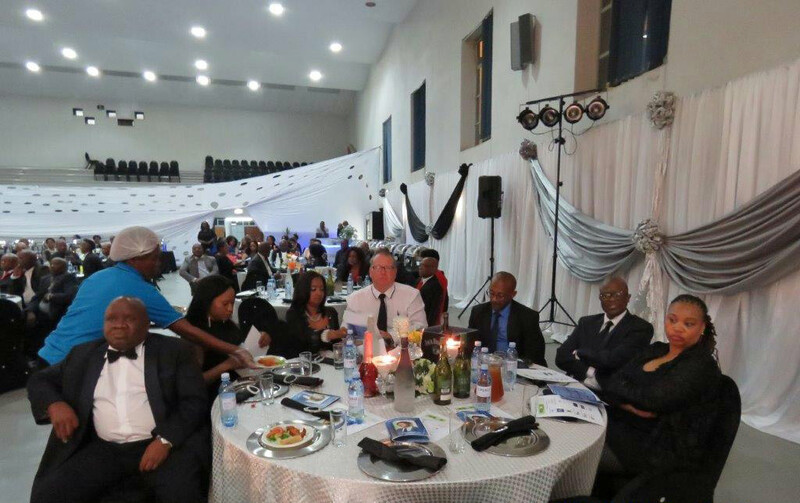 Dijalo Property Group recently sponsored a table at a fund-raising event in support of the Kwa-Thema Socio Economic Organisation (KTSEO). The company was one of 15 other sponsors at the event. This is just one of a number of corporate-social investment- (CSI) initiatives that the leading and black-owned property specialist has supported to help drive meaningful change in South Africa. KTSEO was established by successful past and existing residents of Kwa-Thema to give back to this large and vibrant community located south-west of Springs, Gauteng. Hosia Malekane, managing director of Dijalo Property Development, the development arm of Dijalo Property Group, is also a voluntary member of the organisation. Its first major milestone was launching a successful Community Bursary Fund to help fund previously-disadvantaged students’ higher education requirements. Established in 2016, KTSEO has already funded the registration fees of more than 40 students from the community. It now intends developing and supporting information technology, as well as sporting and recreational facility-related projects that are expected to benefit many Kwa-Thema residents. Importantly, its initiatives are geared at halting the dire impact that the migration of intellectual capital from Kwa-Thema to the suburbs is having on the social and economic fabric of the township. The migration started after the first democratic elections in 1994 as affluent members of South Africa’s township communities claimed spaces that were previously denied to them under a discriminatory regime. It was the segregationist policies of the previous oppressive government that led to the establishment of Kwa-Thema in 1951. Many Africans were resettled to this “labour pool” from Payneville, which was designated as a “white-only” town. However, the large and resilient community turned this previous “labour-pool” into their beloved home over the years. Named after Selope Thema, the South African activist and leader, other many notable South Africans also made Kwa-Thema their proud place of residence. They include South African footballer, Andries Maseko; Lucas Sithole, the South African sculptor; Hilda Tloubatla, the famed South African mbaqanga singer; and Eudy Simelane, a footballer and activist. Malekane concludes that he is proud of Dijalo Property Group’s close association with yet another worthy initiative that is already benefiting the lives of so many South Africans!